Didn't realize that sitting kills. I work in an office environment and I seated here for 8 hours with a interval of lunch break and coffee break. Sadly I belong to the risky unhealthy people. 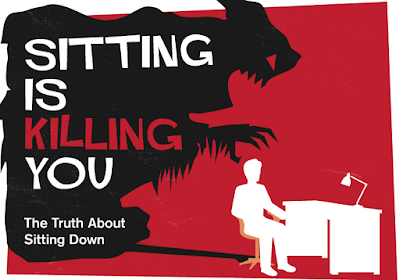 Sitting is bad, it doesnt reallt take a genius to work out that when sitting your doing nothing physical and so this is bad for your body.